Early Check-in and Late Check-out service available at this hotel for an additional charge. Early Check-in available from 12 noon, subject to available rooms. Late Check-out available until 1400, subject to available rooms. The Travelodge Hotel Castletroy Ideally is situated in Castletroy, Limerick. 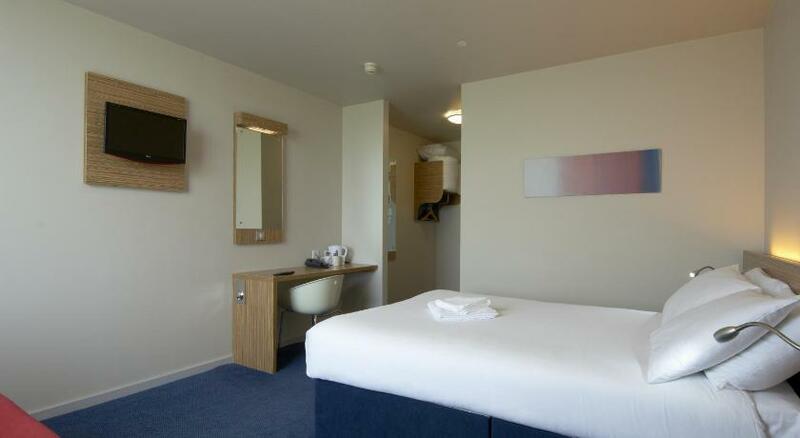 The is a contemporary hotel, a 20-minute drive from Shannon Airport and 3 km from Limerick city centre. The Travelodge Hotel Castletroy Limerick is ideal for anyone looking to visit the University of Limerick or explore some of the great attractions in the city centre. Castletroy Shopping Centre is just a short walk away from the hotel, along with a cinema and supermarket. Limerick city has long been one of the fastest growing parts of Ireland and boasts a fantastic selection of bars and restaurants and has a vibrant nightlife. If you are visiting Limerick city centre bars, we are just a few minutes away from the area of full of food and entertainment and our freinly staffs are happy to provide information regarding places of interest. Limerick city offers a lot of music and entertainments for its visitors and locals. One of the great places from Travelodge Castletroy Limerick with a short drive distance is the Locke Bar. The place is one of the most renowned live music Limerick venues. Known specifically for its traditional Irish music, an impromptu session is liable to break out at any time, but seven nights a week you will enjoy a traditional music session at The Locke. There are endless venues to enjoy in the city, please don't hesitate to ask our reception for details. You can dine in the stunning Cafe Noir, offering classic French cuisine. The cafe offers extensive dinner menu and has a state-of-the-art open plan kitchen. The Travelodge Hotel Castletroy Limerick is a short distance drive away from the Gaelic Grounds the home of the Limerick hurling and football teams. and Limerick Racecourse and Thomond Park, the main arena for Limerick Sports are also in close proximity from us. Also a 30-minute drive away from hotel the Kirby-O'Sullivan Sports Social & Business Park is located, the centre is home to Limerick FC. All rooms at this budget accommodation have a TV and free WiFi with unlimited data for all devices is available throughout the hotel. Our hotel has 4 wheelchair accessible bedrooms and 24 hour check in facilities. The hotel's free car park is just outside the hotel giving you a convenient place to stay.